Ancient Ways preserves indigenous people’s ancient life-giving traditions through collaborative and sustainable practices, including 1) health and well-being services, 2) academics, arts, and public health education, and 3) building huts, fuel-efficient stoves, toilets, and wells. Ancient Ways currently works in the US, Peru, and Zimbabwe. through mutual learning, respect and empowerment. Values are more than words on paper. We must live the values, share their principles, and reproduce their wisdom in practical ordinary reality. We provide local and international outreach that uplifts humanity with empathy, mutual respect, and trust. Working in partnership in multiple regions of Zimbabwe over the last several years has been an evolution for all involved. We join together with the Chiefs of two main regions (one having the largest district in all Zimbabwe), the headmen of villages, staff members who have become community leaders, and residents as members of the whole. Team work is emphasized, relationships are paramount, and sensitivity essential. We have chosen to partner with Sundborn Children's House, which is a Montessori school in Albany, Oregon. The global nature of Dr. Maria Montessori's (1870-1952) philosophy encourages humanity to respect the universal child. Each child is born at a specific time in history and in a particular culture with the creative capacity to realize a human consciousness not yet known to our species. Our challenge is to understand and cultivate the optimal potential of all children in order that they will give their unique gift of who they are as creators of a world where unity and peace can transform hope into reality. We enjoy performing within our communities and supporting local events and private gatherings, each presenting an opportunity to develop relationships to strengthen our mutual desires. Our classes are a place for coming together on the sacred ground of learning, exploring musical intelligence as expressed in a group offering, and forming friendships as we grow together. We conscientiously approach our programs with wholehearted dedication, integrity, and accountability. We make great efforts to align wholly with all legal statues and laws in both countries, following regulations, filing records and meeting deadlines. We strive to keep communications open and policies transparent both here and abroad. We pour ourselves into the process of assuring that all contributions are track-able and that our US government requirements for the donor are met, so that tax deductions can be made with confidence, as well as pride in what they are supporting. We are particularly attentive to details regarding the sponsorship of children to ascertain that the child is not only attending school, but also participating in our Youth Well Being program, as they are inclined, to help develop an expanded view of themselves and the world. This sponsorship is then an opportunity for cultivation of a relationship with the sponsor. Not all children fully understand what this means, but many do, and use the chance to learn and improve their English, as well as benefit from the thought that someone has their goodwill at heart. We do all we can to be sensitive to the needs of this relationship, even when we can't control the outcome, or the family's choice to move or transfer schools. Our goal is to do whatever we can to help build global citizenship for all involved. This actually takes an enormous administrative effort to connect the two sides of the world in a consistent manner. All information regarding programs and services is made available taking great care to not compromise the privacy rights of anyone. Our programs ensure that the community’s children are nurtured, protected, encouraged, and able to contribute to their society as compassionate, honest, and harmonious individuals bringing peace to our planet. Each opportunity to include children locally in classes and performances is done considering their empowerment process towards the adults they are becoming. Achieving mastery of a song and sharing it in a public venue builds confidence that is their resource for the future. 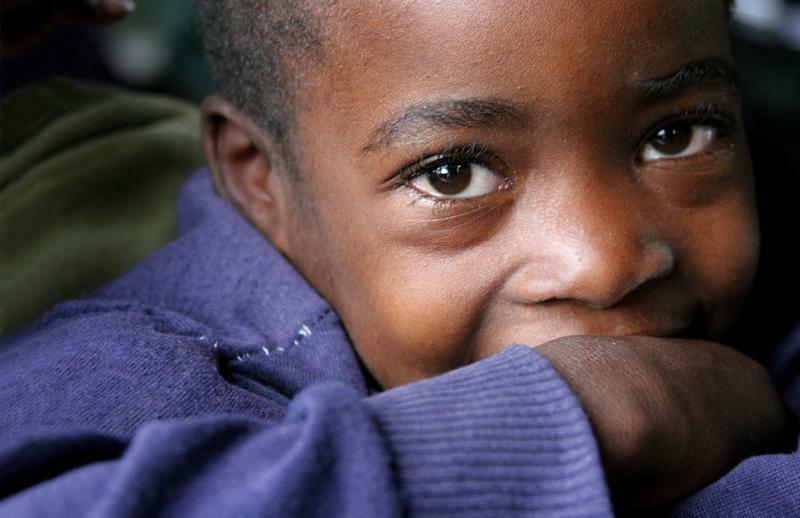 We provide the children in Zimbabwe as many openings as possible to create a new future for themselves. The Girls Guides and Machapro programs are examples of structured approaches within which we are able to offer formats that allow the children to grow and develop, uplifting them as the focus for the unfolding future. When we examine the offensive nature of discord in our world, we don't find musicians happily learning together in the middle of it - the two occurrences seem mutually exclusive, creating a picture that is incongruous and contradictory - it's an oxymoron. We hope to influence our world's peaceful future through the power of sharing music, and as it happens the music from Zimbabwe, whether in its learning, performing or educating about its source. Playing music in a group engenders a mindful healing that stimulates goodwill to be part of the ensemble heart, which one carries everywhere into all life. The preschoolers in Zimbabwe are given a healthy meal that is made from a variety of fruits and vegetables from our own orchard and garden, as well as other food purchased locally and in town. 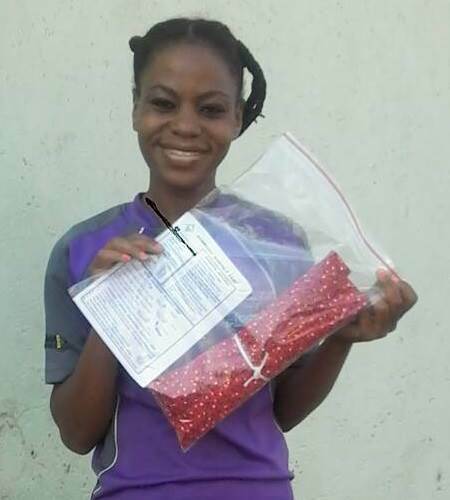 Maize has been contributed as a way of paying back a certified seed loan, peanut butter is purchased from a local women's co-op we helped to start with a loan for the machine and peanuts, and dried fish, beans, and rice, for example, are bought in town. The children's tender development is being nurtured not only with nutrition but with community participation. They see examples of working together, or nhimbe, all around them as parents deliver firewood, or supply rocks to build the Community Center buildings. They see the women and men alike arriving in gravel laden carts brought by oxen, with shovel in hand, to repair the dirt roads which were washed out from heavy rains. We facilitate community growth in a creative, intuitive, and resilient way that is sensitive to the cultures and peoples it serves. In 2000 when we began to work in Zimbabwe, the monetary exchange rate was 38 Zim to 1 USD. Each year the rapid devaluation of their dollar devastated their country's economy with the 100 billion dollar bank notes being introduced mid-2009. By early 2009 50 billion Zim bought 2 loaves of bread. Shortly following the US dollar became the standard, abandoning the Zim dollar exchange, with pricing taking a sharp rise but somewhat stabilizing their economy. During these years we responded with great creativity to the hyperinflation. We stayed, working in the country even though most NGOs left. Many were forced out. We carefully kept working close to the people, with the Chiefs, and held a positive focus. We had to be flexible, thoughtful and instinctive, watching the signs continually. We build bridges between our countries, our cultures, and the people we work with in Zimbabwe and Peru. We also ask that other peoples extend themselves to understand our culture too. America, although a melting pot, does have a culture, with a wide variety of attributes. By being aware of our diversity we can find unity in our humanity. Continual learning is required to marry the desires of peoples with differing backgrounds. We bring together the Shona, English, and Americans on a regular basis with an emphasis on honoring the individuality and various traditions that people bring to the project. Many religious preferences are reflected amongst our community members here and abroad. We find our common ground, respecting each other's approaches to their Creator, encouraging appreciation of the various ways that our spirituality unfolds within our lives always being sensitive to the diversity. We daily are looking for opportunities to respond differently to the challenges of life. If we want to get a different result we must take different action - is it just the insane that repeat the same action and expect to get different results? We respect the life-giving traditions and knowledge of all cultures, and works toward their preservation. When Ancient Ways was begun in the early 90's it was a small community effort. It was an inspiration towards recognition of our ancestor's wisdom. It was a concern for endangered species; we saw that indigenous peoples were being affected like the frogs in nature around the world and they were a signpost of the future. We began establishing our part of a lineage of preservation efforts both in Zimbabwe and Peru as well as educational outreach here. Not all traditions are life-giving, and as such, efforts are made to clarify what we can support and what is not helpful for the evolution of our planet. We give no attention to what we might find in the world that we are against, but instead are clearly aware of what we intentionally stand for with strength. Within our music classes we focus on the preservation of the original composition as it was given by the composer or arranger. We play contemporary, traditional and original pieces. After mastering that, then we consider arrangements as a creative outlet but staying within the Shona cultural context. We offer cultural information to support the community in learning about indigenous traditions. We do this by studying with the elders within the particular society. Our programs cultivate development through reciprocal learning and integration of knowledge into practice. As we work together to create programs for any area, we strive to ascertain the value of the exchange. In classes the students are the teachers, as well as the teachers the students. We make efforts to learn a piece of music by thorough exploration of its parts while recognizing it is more than just those pieces, but also the resultant of the way the pieces interweave. The sum is more than the parts. Taking these songs into a public forum tests our mastery of what we have learned and brings it into a new relationship to our soul as we reach out to others. Between our countries' peoples, we hope to offer much to each other as we generate ideas for uplifting humanity, always looking to the past to create the present with more awareness. In being charitable we also want to be empowering in our actions. We recognize that we in the US bring financial assistance to the table as well as resourceful and independent free-thinking. We are able to learn much from the rich cultural heritage that other societies offer us with their lifestyles, historical context, and beautiful soul-connected countenances. As we create avenues for these imports and exports we work to ensure that the received information is usable in practical forms. Not only can we play music from Zimbabwe, but also we can open the right-brain doors to expand how we perceive the world and learn. Not only can they hear of a new way to approach a problem, but also they can implement a pragmatic solution for the people. There are multiple levels of learning going on for both of us in this cultural exchange. We facilitate opportunities for people to create a preferred future by supporting their healthy choices and providing resources to take action, from a power-with instead of a power-over approach. It's easy to examine a problem, propose a solution and see what happens, like an experiment. It is much more difficult to explore the push-pull dynamics of a current reality with one another and look for options from the inside-out to bring desired outcomes. Each alternative might pave a new road, but which will have the least negative impact on all involved, which will provide the best opportunities for positive growth, which will be claimed as a design of the people? Rather than coming with a band aid to fix the problem, we visualize hopeful, empowered and intelligent individuals desiring to solve their own concerns, by holding space for each other with presence and respect. The choices that we all make come from our experiences either with or without material things. We must help each other look at each of our hopes, dreams and wishes, to consider how they intersect with a promise for betterment in the future. For instance, wanting a car could be an empowering thing in many ways, but it also takes many resources to sustain it which could be non-empowering in the long run. One time we ran across a fancy truck alongside the road. It belonged to the chief. He had run out of gas and was going house to house to try and find fuel. The truck had been a political gift and looked like such an empowering possession, but not without the resources to fuel it. In this same way, we evaluate all of our thinking about how we help, what we ask for, and see how all the lines intersect. We are committed to ecologically sound and self-sustaining practices, and recognize the value of all people to accomplish its vision. We continually support permaculture approaches in all efforts we sponsor. Even though there are many modern chemicals and products used and encouraged by societies, we strive to educate about remembering the old ways and carefully considering all aspects of new conventions. It is the team work of many people that make the wheels turn, whether we are referring to the countless hours of volunteers, the paid staff on the ground who are embodying the vision in their daily work, or the casual encouragement to your friends to hear 'our story'. It is the relationship, respect of one another and passion for a holistic way that fuels the fire. We value trees and the oxygen that they produce, hence think 'green', we look to frugality as a way of life to conserve resources, hence recycle, and we know that it is the intentional consciousness of everyone involved that can create change. We recognize these as a few of the concrete inspirations that can be daily implemented to create a more sustainable future with our efforts. We continue to look for ideas that create self-sufficiency when we provide funding or resources of time to any given situation, here or abroad. Health is the foundation to a sustainable future and so we focus on new ways to create and offer alternative as well as traditional health solutions rather than rely on modern drugs and evidence-based medicine to solve every situation. Education within the health paradigm is a huge powerful force, as is education in academics, the arts, business training or new ways to think about solving old problems. Education is prosperity. And children are the future. We look to the children everywhere to see the way forward - a child's life is the path! Easy to Stay in the Loop! F A C E B O O K – like US! Find More Film in the Blog!